I know you've probably had several different varieties of meatballs, but have you ever had Mexican meatballs?? When I saw this recipe I knew I had to try it because my love for Mexican food runs deep. And these did not disappoint! 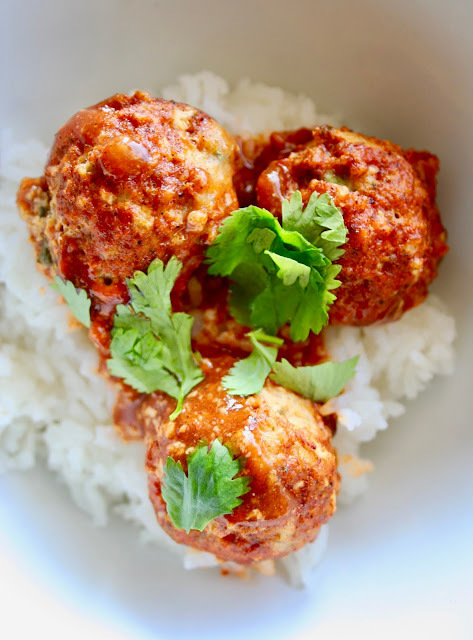 These meatballs had such an amazingly rich flavor and went so well with the rice. My one piece of advice is to make sure you choose an enchilada sauce that you love. The enchilada sauce is the star of the show in this recipe and it makes all the difference. I personally love the mild Old El Paso, but there are so many to choose from! 1. Preheat oven to 350 degrees F and spray a 9×9-inch baking dish with cooking spray; set aside. 2. In a large bowl or stand mixer, add all the ingredients and only add 1/4 cup enchilada sauce. 3. Using your hands or a mixer with the paddle attachment, combine all the ingredients. Using a cookie scoop, portion out the meatballs into the baking dish. Evenly drizzle the reserved enchilada sauce over the top. 4. Cover with foil and bake for 30 minutes. Remove the foil and bake for 10 more minutes. 5. 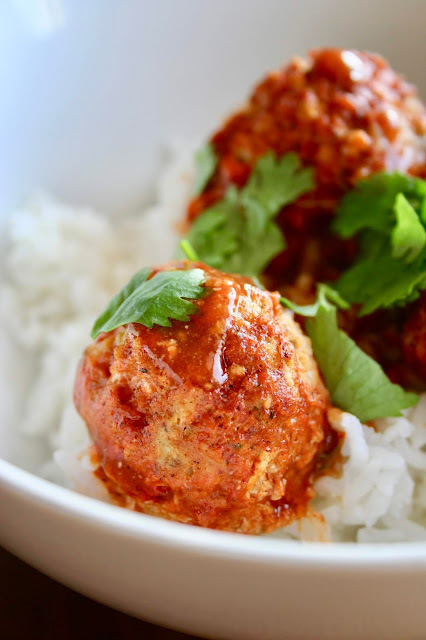 Serve hot meatballs over cooked rice and garnish with cilantro leaves.